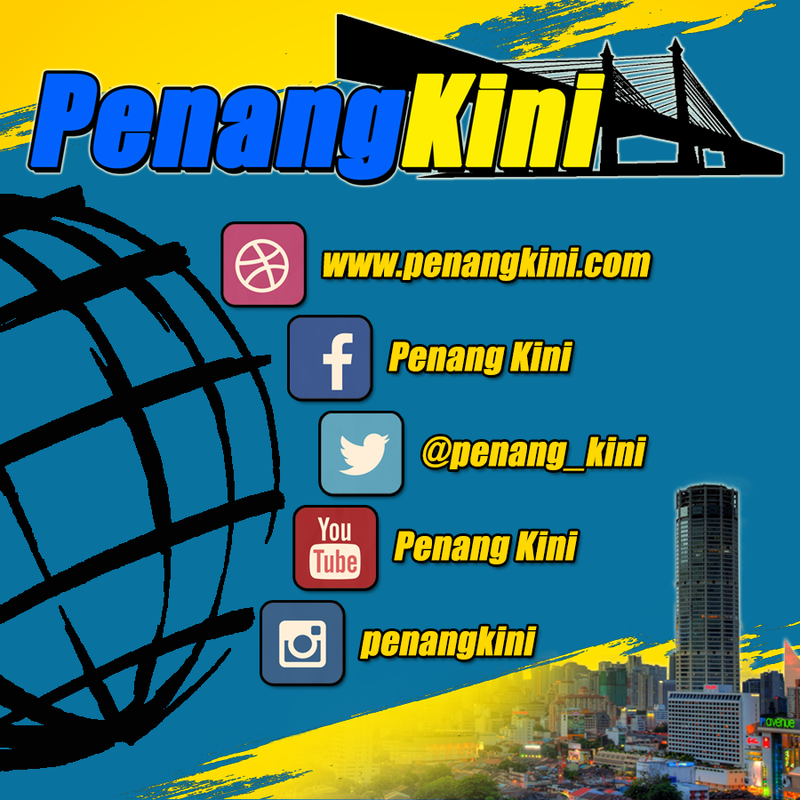 GEORGE TOWN: It is a foregone conclusion that Barisan Nasional (BN) will win the 14th General Election given that the opposition do not have any worthy candidates who can lead the government. 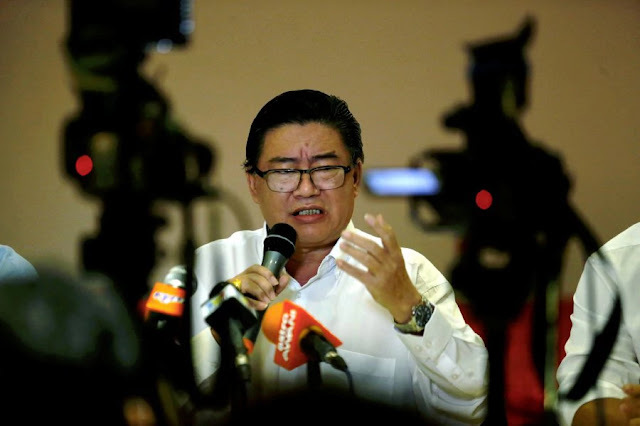 Centre for Political Awareness Malaysia president Datuk Huan Cheng Guan said the opposition parties, no matter how hard they try, remain divided, lack strong grassroots support, character, motivation, maturity and leadership to govern effectively with unity, pragmatism and fairness. “None in the opposition fit the bill as the current leaders in the various parties play to the gallery and are guided by personal interests. “If they cannot see eye to eye on basic issues, do you think they have the clout to govern Malaysia? “Besides, many have a lot of personal and political baggage that has undermined public trust in their words and actions,” he said today. Huan said that to date, the opposition had been embroiled in battle of accusation and nitpicking, with little to show in its track record except for a string of scandals and broken promises. He added that the opposition waxed lyrical about high ideals, but in practical terms, their masked idealism does not show practical moral and economic solutions, unlike what the consistent track record BN has achieved. “Undeniably, despite brickbats and criticisms thrown his way, (Prime Minister) Datuk Seri Najib Razak’s apepal among his support base is solid. “Do not forget BN emerged winner in the 12th and 13th general elections despite all the lies, spins and distorted facts spread by the opposition,” he added. Huan stressed that with all the accomplishments across the board, Najib is in good stead to ride the tide of victory, holding his sterling track record to remind voters he promises and delivers, unlike the opposition wrought by infighting and broken promises. 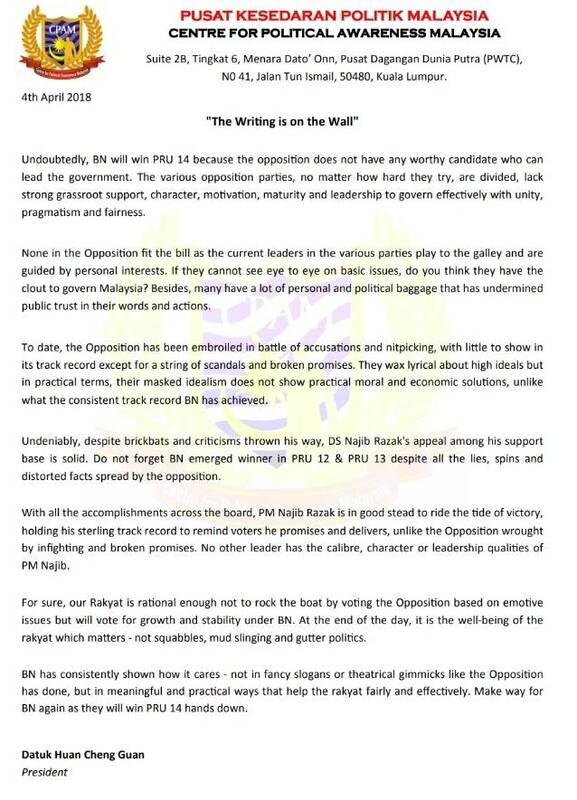 “No other leader has the calibre, character or leadership qualities of Najib. “For sure, our rakyat is rational enough not to rock the boat by voting the opposition based on emotive issues but will vote for growth and stability under BN. “At the end of the day, it is the well-being of the rakyat which matters - not squabbles, mud slinging and gutter politics,” he noted. BN, Huan pointed out, has consistently shown how it cares - not in fancy slogans or theatrical gimmicks like the opposition has done, but in meaningful and practical ways that help the rakyat fairly and effectively.